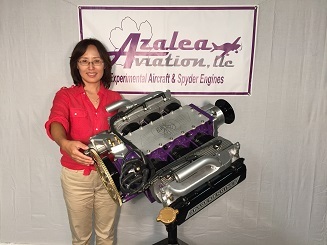 Azalea Aviation, based at Cook County Airport (15J), ADEL, Georgia, is home to the Saberwing Lines of kit aircraft, Spyder Corvair Aircraft Engines, and Firewall Forward components for many aircraft. 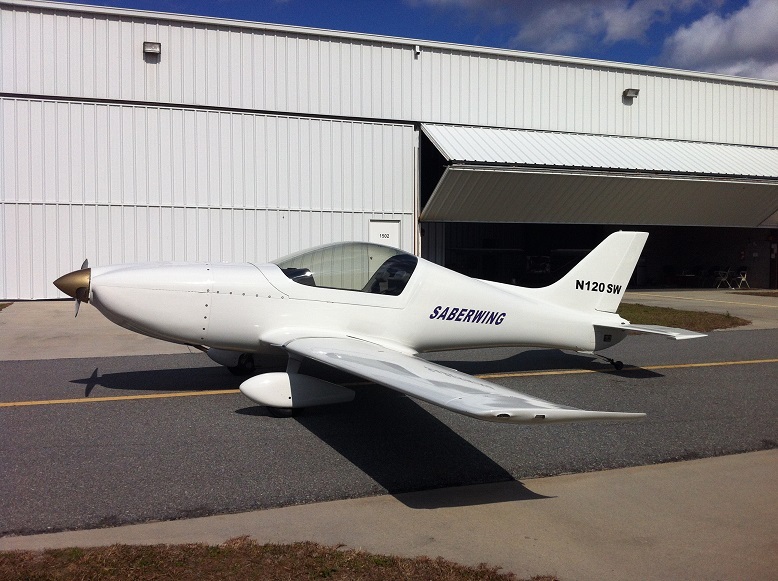 Our Saberwing line of aircraft include Experimental Amateur Built, Light Sport, and soon Motorglider. Our aircraft kit are new to the aviation market, but are exciting and easy to build. 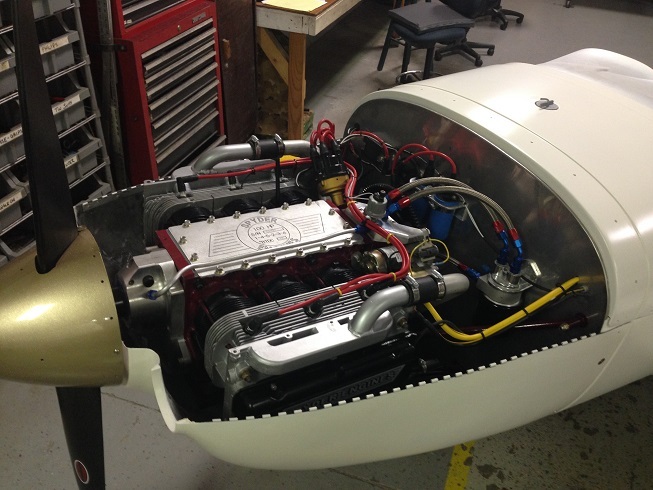 Our Spyder Corvair Aircraft Conversion Engines have been flying in a variety of homebuilt aircraft for many years. Azalea Aviation strives to provide excellence in our aviation products and service. We are on the front line of innovation in an exciting field of achieving simplicity of design in an increasingly complicated world. We pride ourselves in flying the engines, aircraft, and components we produce for our customers. This gives us real world information and feedback about our product reliability and use. Our goal is to have you flying quickly, safely, and affordably. To understand our methods in designing products read "The Basics" at the bottom of the page. GET YOUR $2500 Deposit in Today! Get Your Saberwing Kit for $32,500.00 ! Click the PDF link below to look at basic information. Many Saberwings are now sold and kits are being delivered to customers. Click below for information about purchasing your Saberwing today! Due to many requests we are going to be adding many videos about our Saberwing for all to enjoy! MOJOGRIP'S "Future of the Saberwing"
Darcy has been building his Saberwing in our hangar taking advantage of our new Customer Assist Program we are testing. In 65 days of hard work he now has a very "airplany" aircraft. He has worked very diligently on the plane and his hard work is showing. If you are interested in this program please contact us. There are fees involved but the progress is very visible. Pictured below is Darcy showing his progress to Saberwing builder Dan. Follow Darcy's progress on our Facebook page. Other Saberwing UPDATES: As we have more builders coming online we will also have more information that will be available to any of you who are interested. One Such builder is Dan Klop in Arizona that has started his youtube video package "DO IT WITH DAN". It is a great way to watch some of the fun and tip involved in building a Saberwing. Check it out. 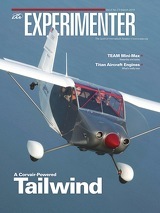 Something new and exciting for those who wish to connect with other Corvair builders and pilots. One of our builders is introducing a new website and chat group for all Corvair pilots to use. It is an open and free service to any kind of corvair pilot, engine builder. He is still building it but the email chat is working. Check it out...join up...I did! 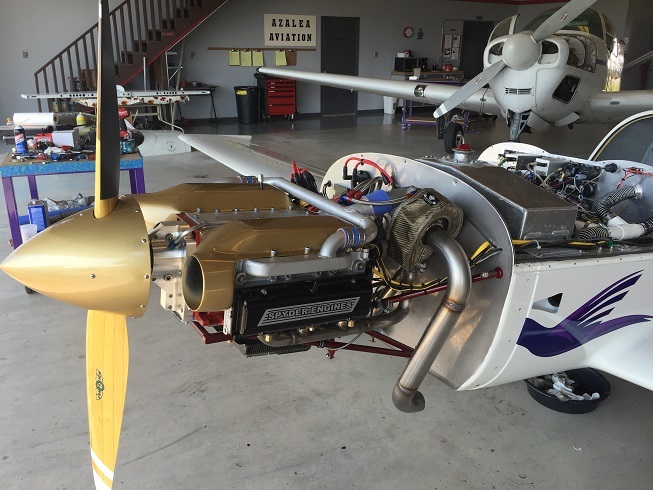 Saberwing Prototype with 120 Turbo and New three blade Sensenich propeller designed for our turbo installations. Constant speed version coming soon for further testing and perhaps production..? We have done a bunch of testing lately and here are some preliminary results. I wrote it up in a little file you can click on to read. There is more info and pictures on our Facebook page if you want to follow along more. We will add a video soon as well. N203SW at Oshkosh 2018. Larry did a great job building his Saberwing. Larry purchased his Saberwing kit #003 from us aabout two years ago. He lived only 15 miles away from our airport allowed us to fine tune many of our products and information to help out existing and new builders. Larry kept a very detailed builder's log that details out his journey very well. Many of his photos are being used in manual updates. His 750 hour commitment has proven itself. This was his total build time to date. We initially estimated the build time of the kit (minus the 5 "P"s - prop, panel, paint, powerplant and 'polstery) at 500-1000 hours. It seems we were very reasonable with the time calculations. Of course some people may spend much more time but it can be done in a year. The Prototype N120SW and Larry's N203SW flew together to Oshkosh in 2018. Going to Sun n Fun and Oshkosh this coming year will be bitter sweet without him off my left wing. But as Larry would say...."Keep moving forward with joy....God's got this!" Check out Larry's Update Page ! GO TO OUR FACEBOOK PAGE ! We will be focussing on one of our products as we update our products pages. There will be descriptions, updates, and information that will help you understand our products better. This week we will focus on DISTRIBUTORS! John M.'s Zenith 750 Cruzer is now finished, signed off and has finished its Phase 1 flight testing. Joh flew his bird how a couple weeks ago with a big smile on his face. We congratulate John on all his hard work. 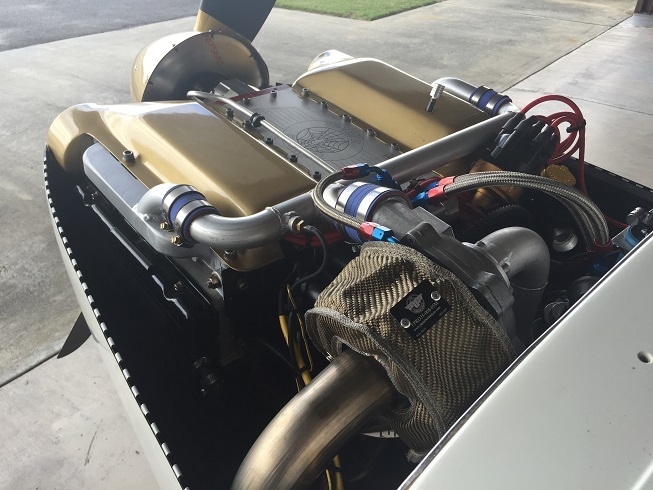 UPDATE: 2-20-2019 - We have been flying our turbo setup for two years now and about 250 hours. We are currently breaking down the engine partway to do an inspection of the heads/pistons/cylinders and part of the bottom end to see how the parts are holding up. So far everything looks like normal wear and other than an early ring issue on one piston all has held up well. The plan is to reassemble everything and contiue flying the engine another 250 hours before another check. Turbos can be harder on engines and we would like to see where we can improve or modify to have a dependable powerplant. TURBO SABERWING Video #2 : Click Here. 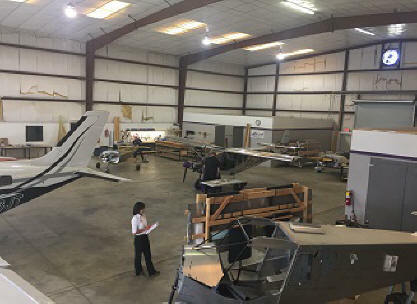 If you are ever able to drive or fly into Cook County Airport GA (15J) you will be able to visit our manufacturing facility we are working on there. A 10,000 square foot building with offices and restrooms, it is ideal for setting up our new composite manufacturing, machine shop, wood shop, avionics, upholstery and more. Click on the picture above for a panoramic view. We are still a couple months away from having it fully operational but it will provide ample room for builders' aircraft as well as room for one of our customer's Tubine Malibu we maintain. In the picture you can see our LSA build, John's Zenith 750, the Saberwing, another Zenith 750 and more. When completed the interior rooms will have two floors and will serve as a builder's assist center. Still much to do! CHECK OUR FACEBOOK PAGE FOR MORE !!! 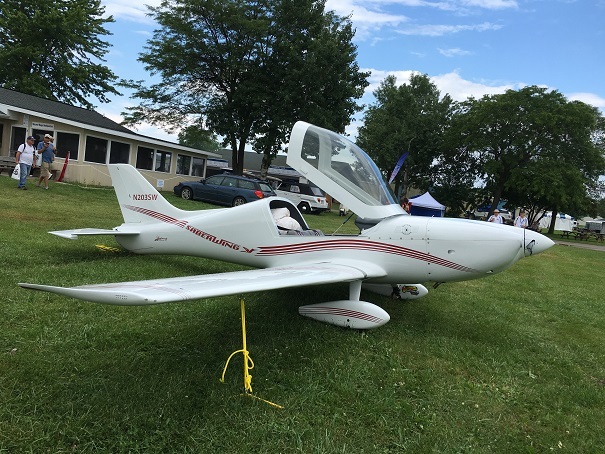 15J Cook County Airport Notes : Check out the Social Flight APP for information about our monthly BBQ's (most Second Saturdays) and classes. We are normally open all week and most weekends for those who wish to stop in and visit. Get a tour and possibly a ride in our Saberwing if interested in our kits. WATCH US BUILD ONE! - CLICK HERE! If we seem to be behind on our "Build Project" it is because we have been busy working on our new manufacturing facility setup and tooling. We hope to catch up soon! 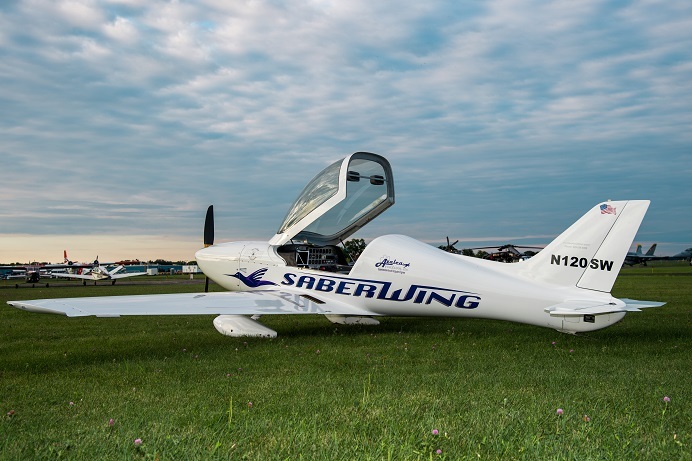 The Saberwing Prototype is 4 years old and has completed 400+ Hours of flying ! We have given several rides to prospective kit buyers, many of whom are seriously considering a purchase. They are amazed at the performance the Saberwing brings. For more information about this new design Click HERE. Click for larger view or to look at previous PICS. We will add a new picture at random. Send us yours if you are our customer and want it shown! Build Your own CORVAIR conversionn. Click on our Spyder Engine Logo above for our FREE Corvair Conversion Teardown Manual in PDF form. The Spyder Corvair Conversion Engine Series are available now. Lots more fun stuff on our FACEBOOK Page! EAA CHAPTER MEETINGS If your Chapter wants us to visit let us know! SUN n FUN 2016 PICS!